Roger Hayden will roll-out a special livery at the Red Bull Indianapolis combined MotoGP/ MotoAmerica event on August 7-9th at the Indianapolis Motor Speedway in America. 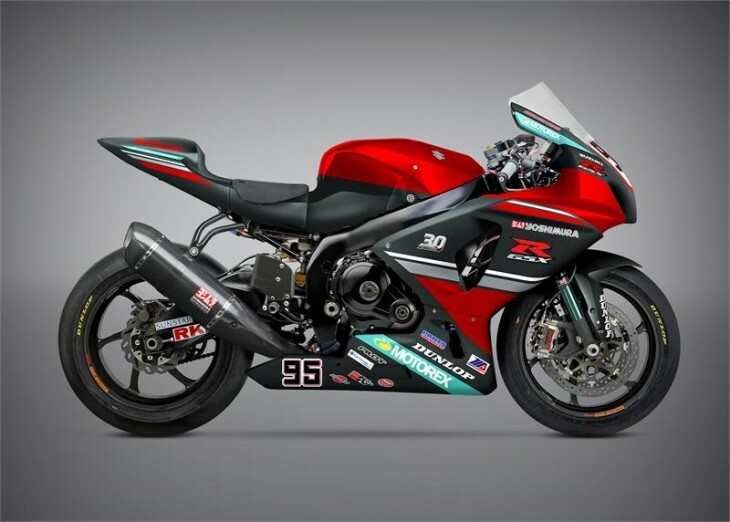 The special red and black livery will commemorate the colour scheme sported by former Grand Prix World Champion Kevin Schwantz when he debuted the now-legendary Suzuki GSX-R750 in AMA Superbikes with Yoshimura in 1986. In addition to the motorcycle sporting the signature colours of the ’86 Schwantz version, Hayden’s leathers will be a custom-commemorative set and his Yoshimura Superbike crew will be wearing red-themed gear; and even the Suzuki GSX-R1000 tyre warmers will match. Hayden will also race the special 30th Anniversary colors in the 2015 MotoAmerica finale at New Jersey Motorsport Park in Millville on September 11-13th.